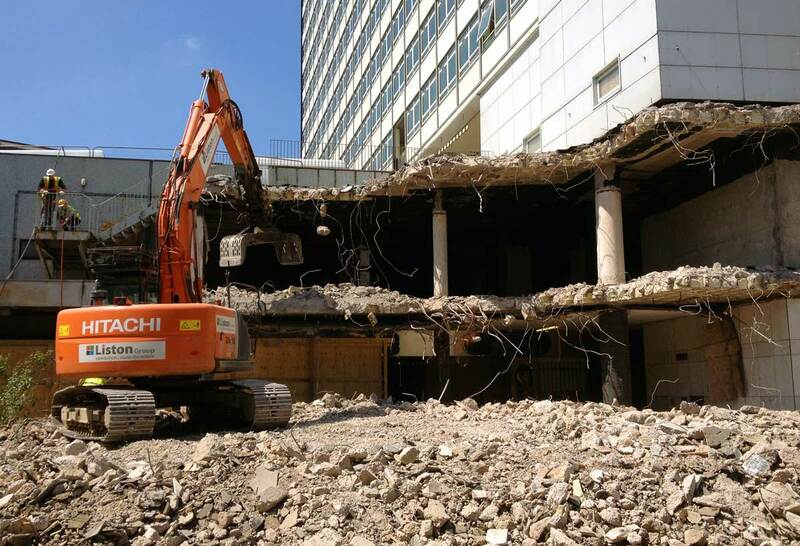 Liston Group were appointed in 2013 to carry out the initial enabling works package to make way for The new Park Regis Hotel in the heart of Birmingham. The new luxury 253 bedroom hotel involved the ¬£50m renovation of the former Auchinleck House and Five Ways Shopping Centre. 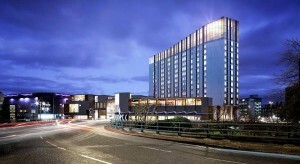 The hotel is a flagship development for the 17-strong Park Regis chain and the first of it’s kind in Europe. 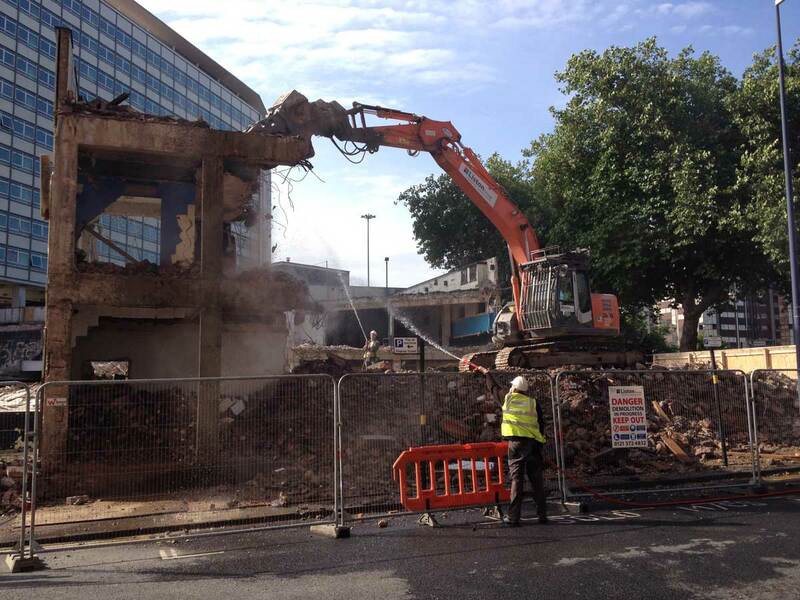 The initial phase involved the demolition of the entire rear section of the shopping centre structure, including separation from the retained structures in a busy city centre location. Following our works on this initial phase, Liston Group were appointed to carry out a large package of additional works on the project. 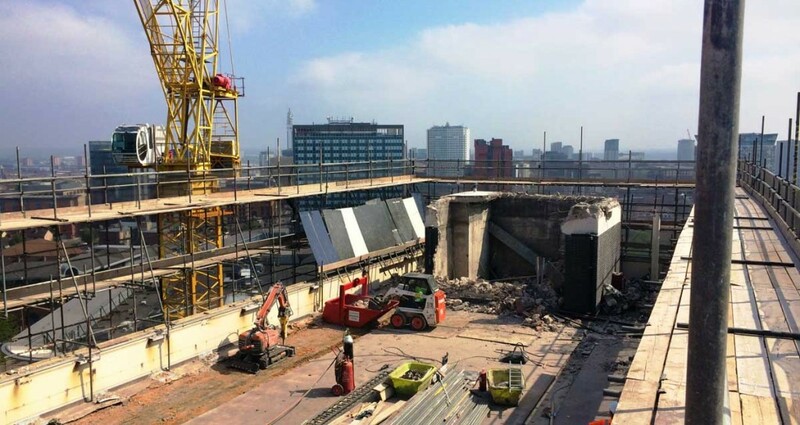 The second phase of the contract included soft strip, extensive internal alterations, forming of new lift shafts, concrete coring and removal of the curtain walling system to the ten storey structure. 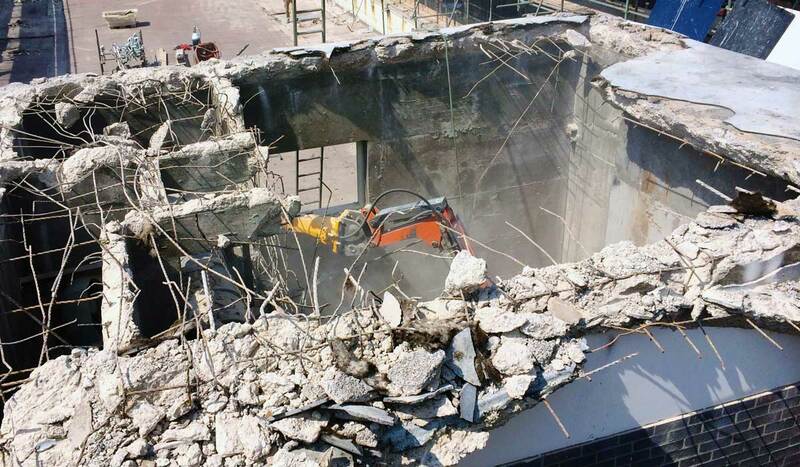 Our works also included the demolition of the concrete roof terrace and canopy on Auchinleck House, which spanned the entire floor plan. Our contracted works also included various civils work packages including works to the car park and installation of bases for the new lift shafts. Park Regis Hotel is a brand new upscale deluxe hotel offering 253 well-appointed guest rooms located in the heart of Birmingham‚Äôs City Centre. The hotel offers a modern and contemporary ambience with a boutique feel for all guests to enjoy. This entry was tagged birmingham, construction, demolition, hotel, park regis. Bookmark the permalink.